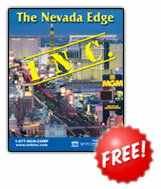 in order to receive your FREE Nevada Edge Book. » Why Incorporate In Nevada? » WHy Inc? Why NV? Why NCH? to the e-mail address you provide in the form below. Do you feel you are protected against a business lawsuit? WHAT CORPORATE STRUCTURE SUITS YOUR CIRCUMSTANCES? The corporation is the most flexible and dynamic business entity. It offers remarkable advantages that generally prevail over alternative business structures; thus, the corporation is the most commonly used in business. A legal entity created independently from the individual owner and operator separates a corporation's debts and taxes from its owners or shareholders; by this means, the greatest personal liability protection of all business structures is provided. The LLC, a hybrid entity that combines the pass through attributes of a partnership with the corporate characteristics of limited liability, distributes profits and losses directly to the individual members of the LLC who are taxed at their personal tax rates. An LLC can be used to hold property or transact any type of business, and members' personal assets are protected in the event of a business claim. The LLC separates its members from the business itself; consequently, there can be no personal liability for LLC debts. Incorporating separates your business assets from your personal assets to prevent your savings, home, retirement and other personal assets from being targeted by any lawsuit against your business. In addition, incorporating may create additional tax deductions that could put money back on the bottom line of your business. Nevada is known as an extremely pro-business state; Nevada has no corporate income tax and no franchise tax. Nevada is one of the few states where the corporate veil has never been pierced, except in instances of fraud. Why Incorporate with Nevada Corporate Headquarters, Inc. (NCH)? Unlike many other incorporating companies, NCH is a one-stop, full service incorporator. Senior Consultants are certified asset protection specialists. NCH is the largest incorporating service in Nevada. Staff support and systems make creating your business and protecting your assets easy, quick and convenient. Count on NCH to help you grow you business and protect your family's future.